Cast: Oguri Shun, Nishijima Hidetoshi, Tanaka Tetsushi, Nomaguchi Toru, Araki Yuko and Nagatsuka Kyozo. Inami Akira (Oguri Shun) is a former SDF (Special Defense Force), but due to a traumatizing event he was discharged. His partner Tamaru Saburo (Nishijima Hidetoshi) is a stoic character, specializing in undercover work. These two are the 'legs' out of the quintet group, containing the chief Yoshinaga Mitsunari (Tanaka Tetsushi), a biochemist Kashii Yusuke (Nomaguchi Toru) and hacker Oyama Rei (Araki Yuko). The group deals with terrorists, bomb threats and other national emergencies. I started this drama because of Oguri Shun, and I finished it because of him. 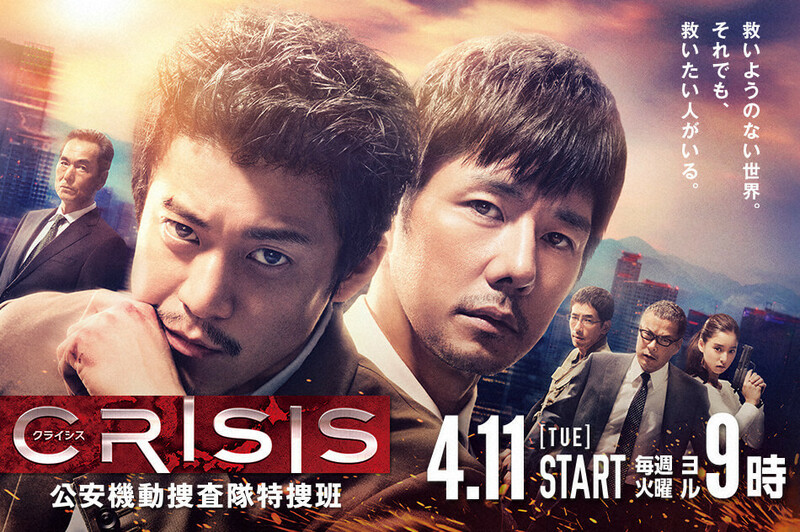 When I started it, it was very exciting as I hadn't seen any Japanese dramas with such a quality fighting – but unfortunately, I felt bored towards the end. Not the fighting or even the story, but the overall progress and direction. I was a bit hopeful halfway through, but noticed very fast how it would end, and which way the narrative went. This ruined the experience for me, but it might not be like that for everyone. The action and acting is good, and the dialogues were good as well. So it might be your cup of tea. All in all, a good drama, but not a favorite of mine.